Trade In Sale: Trade In, Trade Up, and Get A Rocky Mountain! You've had your eye on that new ride for months now. This month, we're making it easier than every to get off your old rig and onto any Rocky Mountain in stock at CDC, or one not even on the floor! Yup, you read that right. We're believers in the great design, quality, and fun of Rocky Mountain Bikes, and we want to get you on one. Trade in your old bike and you'll get 15% off any Rocky Mountain, whether it's in the store or not. You can find out more about how we do the whole trade in thing here, and of course, feel encouraged to call with any questions. But then, you better get lookin' at all the options. Option 1: You're Going To Win Iceman. For most Michigan races, it's a pretty simple recipe. 29" wheels, hardtail, with 100mm of travel. Rocky Mountain's XC offering is the Vertex, and like much of their line-up, there's a spec for every price point and every rider. If you're headed to Europe for a World Cup, there's the 990 RSL, a serious bling ship that offers the best stiffness-to-weight ratio out there. The best bang for your buck might be the 950, an alloy version of the Vertex dressed out in XT that's up for anything. Option 2. You're Going Full Suspension. The Thunderbolt is RM's full suspension all-rounder that's perfect for Grand Rapids. 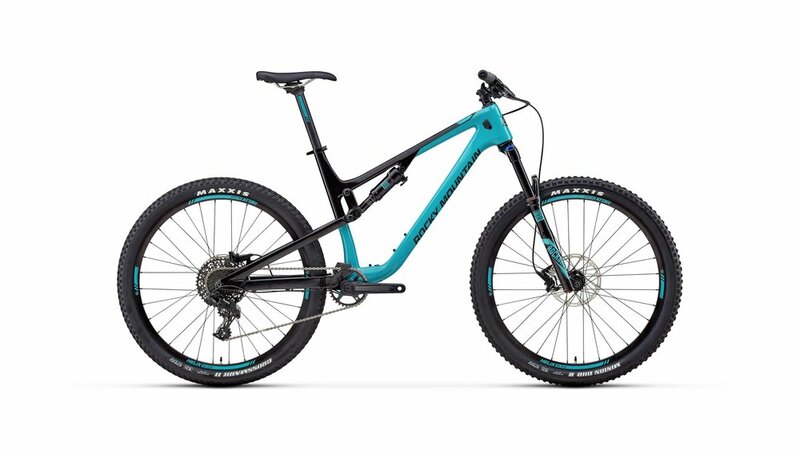 A balance of travel and XC geometry gives you capable, efficient suspension in a singletrack-ready position that keeps the bike quick and snappy. From the aluminum 710 to World Cup quality 770 MSL, there's a rig right for you. Option 3. You're Going To Have Tons of Fun. The Growler, no doubt. 27.5"+ wheels are so, so much fun, and if you haven't tried them, you really need to. Sure, they add some practicality to your ride, especially here in West Michigan. The sand pits tend to disappear with 3" tires, and the added traction on steep, sharp climbs lets you put down the power. But the biggest thing is how fun, they are; they add an inch to the width of the trail, and allow you to lay the bike out in corners even more than your fat bike. There are a few builds of the Growler, with the 740 serving as our go-to for many area riders. What else is in stock? You can check to see what's bouncing around here, or stop by. 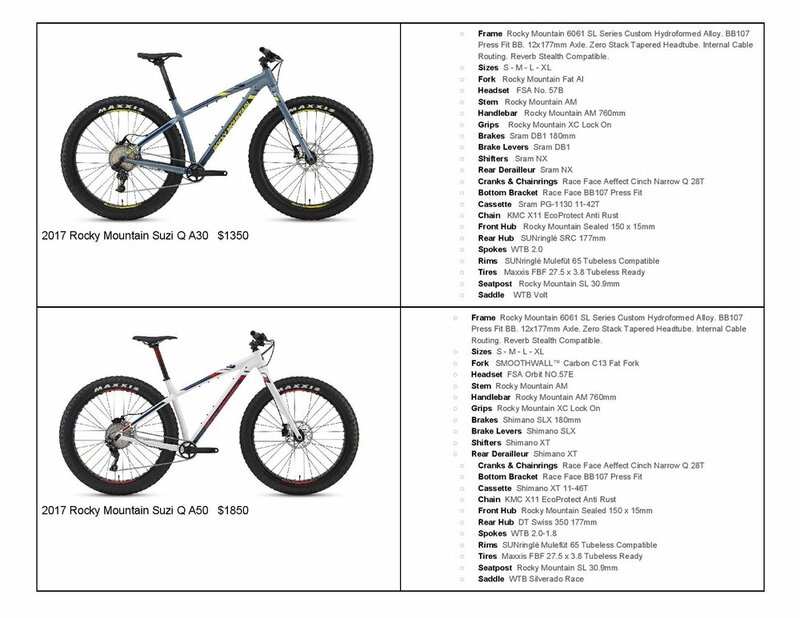 Call to check Rocky Mountain's availability, too, and we'll make sure we get the bike of your dreams out of bed and into the store.